On Monday, Department of Defense identified the Navy Seal killed in a raid on al Qaeda militants, in Yemen, as CPO William “Ryan” Owens. Just minutes ago, President Donald Trump departed from the White House on Marine One but did not initially announce where he was heading. As the media began to have a meltdown, it was revealed that he is, in fact, heading to honor the remains of war hero: Ryan Owens. Trump’s trip to honor the soldier was not part of his schedule. He did not want the visit to be reported until after he was at Delaware’s Dover Air Base. His daughter, Ivanka Trump, accompanied him. Donald Trump is truly a man of the people, and he has a heart for America and our military. You wouldn’t have ever caught Obama on such missions. That's how a true leader acts! Are you watching snowflakes? Fake news, Democracy and freedom's mortal enemy? 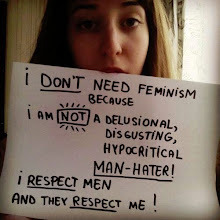 The feminst and mangina syndrome in a nutshell ! Promoting euthanasia, a way to save money?? ?